WINSLOW -- A Waterville man has been arrested on six felony charges related to a string of construction site trailer burglaries in central Maine. 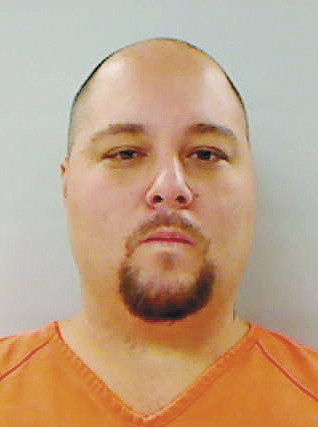 WINSLOW — A Waterville man has been arrested on six felony charges related to a string of construction site trailer burglaries in central Maine. The man, Clinton Bates, 35, was already in jail on another charge when he was arrested Friday at Kennebec County jail, according to Officer Brandon Lund. A tip in early October led police to a Winslow house where they found many of the tools reported stolen from trailers in Troy, Burnham, Rome and Winslow. Lund said there may be additional charges. Bates was in jail after being arrested by the Augusta Police Department in connection with a construction trailer burglary earlier in the week in which more than $10,000 worth of tools were stolen. Lund said Winslow police searched for Bates as part of a three-month investigation that began in August with a report of stolen scrap metal and tools from Double K Automotive. Bates had rented garage space at the business, according to Lund, and instead of moving auto parts from the space, he sold some to scrap metal dealers. Bates also took tools from the business, including a welder worth about $3,500, and pawned them, Lund said. While searching the business, Lund said, police found tools that also were reported stolen from a construction site in Waterville. Bates faces class B felony charges for burglary, theft by unauthorized taking or transfer, and theft by receiving stolen property. He also faces three class C felony charges of theft by receiving stolen property.He remained in jail Monday.